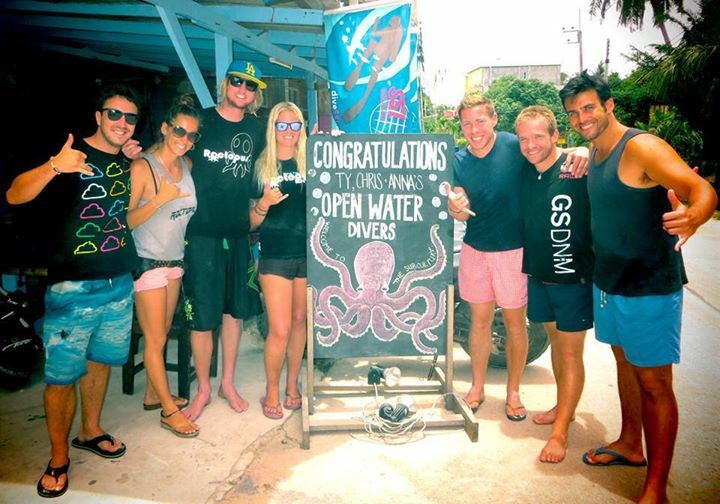 G’day and welcome back to A Dive Masters Diary! 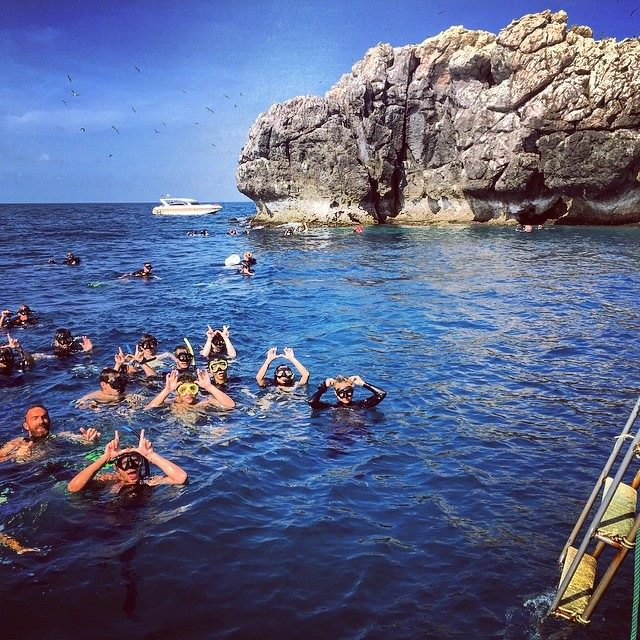 So since most people that come to the island are coming here to dive, I think it might be a good idea to tell you about a typical morning at my favourite dive site in the Gulf of Thailand. 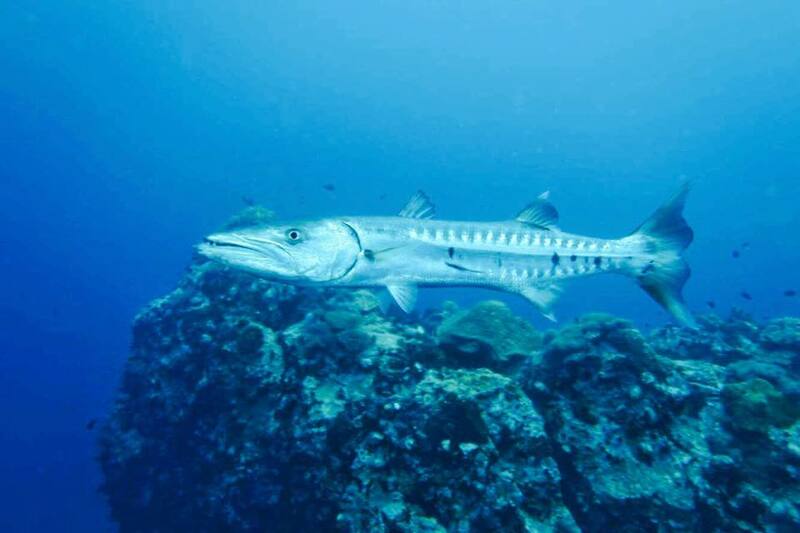 As it is the best dive site in the Gulf, it’s pretty easy for this to be anyone’s favourite dive around here. We have Sail Rock! It is EPIC every single time I’ve been. It is a huge rock pinnacle that rises from the sea bed and goes up to and above the surface. 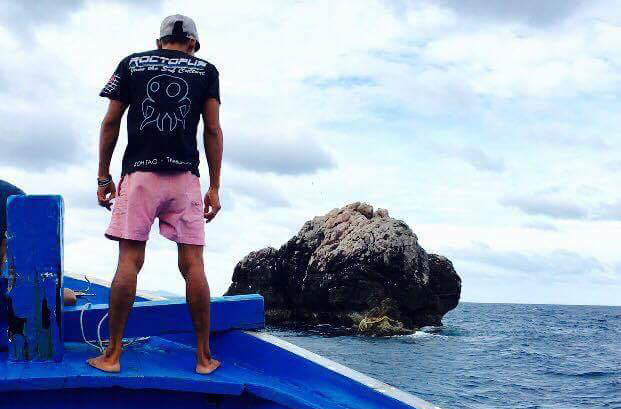 Close to Koh Phangan and Koh Samui, Sail Rock is accessible from all 3 islands. 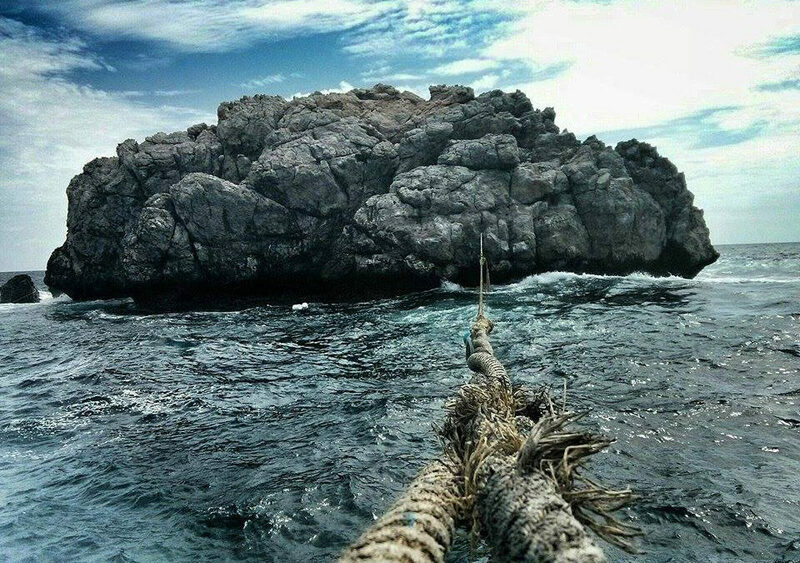 At Roctopus, we head to Sail Rock every Sunday. 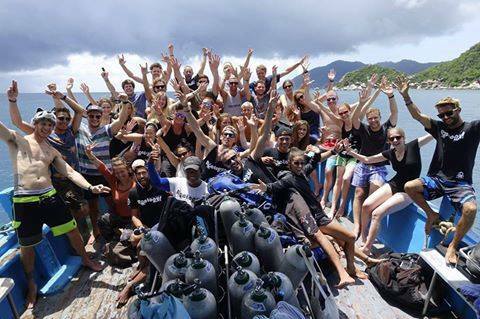 It’s a little bit further away than most dive sites on Koh Tao and it takes about 1 hour and 45 minutes to get there. Because of this, we get treated to a breaky roll as we head out at sunrise to this incredible site. After the cruise out, we gear up, get in the water and start the day off with a bang. As soon as you descend you quickly understand why this site is renowned by divers around the world. Huge schools of Bat Fish and a variety of Barracuda surround you from the get go. I usually start my first dive at Sail Rock going down the chimney. Yes. The Chimney. A hole that starts 6m below the surface and goes straight down to 18m. At about 3m wide, there’s plenty of space for novice divers to glide down safely and pop out the bottom. Now if you are an advanced diver, we head out from the hole at the bottom and descend again to 30. Once we get down there we start seeing our bigger friends. Giant Groupers, Giant Moray Eels, Queenfish, Trevally and the gentle giants that we all have on our diving bucket lists to see, the Whale Shark. We do a full loop around the circumference of the pinnacle and shallow out for our safety stop as we head back towards the boat. Typically, we have a one hour surface interval before we jump back in for our second dive. An awesome time to chill and work on your tan. For the second dive, we descend to about 27-28m straight away to a stack of large concrete blocks on the sea bed. The concrete jungle is home for many Pinkhandle Barracuda, Angel Fish, Butterfly Fish and Grouper. If you’re lucky, you might even spot some Cobia down there. From here, we move over to secret pinnacle, and circle back towards the main pinnacle. Both pinnacles are covered in anemone and a huge variety of hard corals. Now once we have finished the dives and get back on board, we serve up our famous Massaman curry. This is a huge contributor as to why I love going to Sail Rock. The curry is AMAZING. When everybody has scoffed down the food, we enjoy the journey back to Mae Haad Pier and back to the shop. And that’s it, Sail Rock Sunday done and dusted. Time for a Singha. Oh and there’s something that I may have forgotten to mention in the last posts…I live on a tropical island! I really needed to say that. Thanks! Love the blog keep them coming.